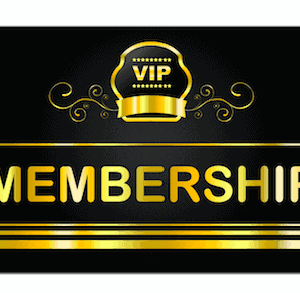 Members always receive a 20% discount on all products, plus FREE shipping. We increased the CBD almost twofold. Each 10 mL applicator contains 250 mg of broad spectrum hemp oil, standardized to 180 mg of CBD. We also increased the retinol (vitamin A) to 25,000 iu per applicator. 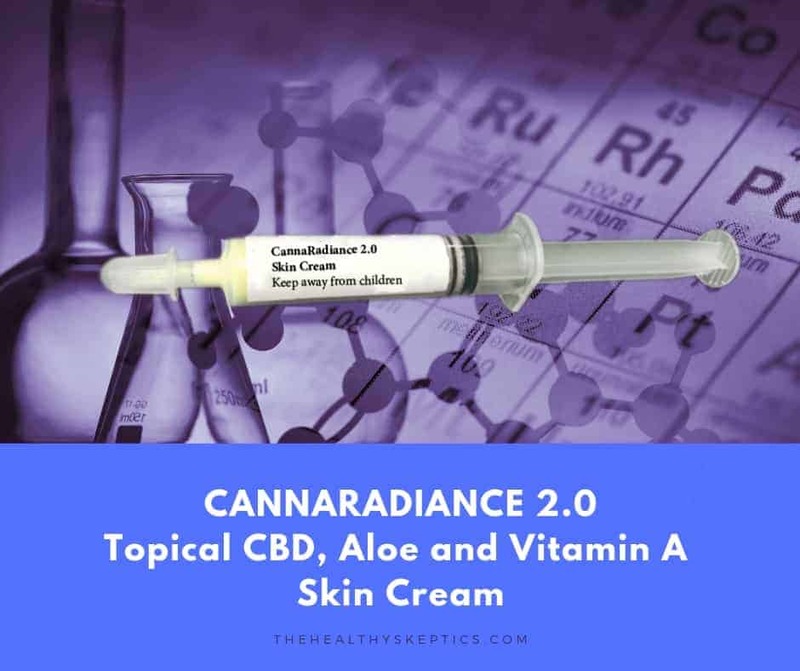 A topical CBD, Aloe and Vitamin A cream, was developed primarily for acne, and has proven to be remarkably effective. We have, however received exciting reports from people with more serious skin issues, and thus CannaRadiance 2.0 with nearly double the CBD and increased Retinol (Vitamin A). 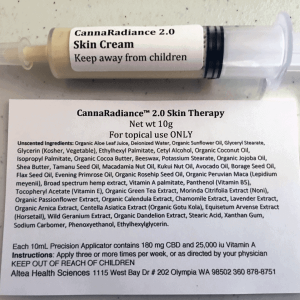 CannaRadiance 2.0 is for any spots your doctor has told you to “keep an eye on.” These are areas, often where there was sun damage or acne in your teens, that can now transform to something more serious. 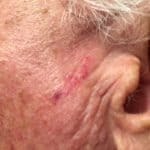 When a doc says, “let’s keep an eye on these areas,” they want you to tell them if the spots change color, or their appearance changes in any way. Are they getting more red? Is the shape changing or do they feel “deeper” when you press on them? 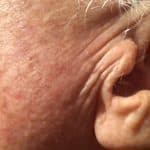 But what frustrates many people is when you ask the doctor what you can do NOW to prevent them from getting more serious, the only advice is “Stop smoking, use sunscreen, use an umbrella at the beach and avoid tanning beds.” All that is good advice. We’re just suggesting that there is now something more you can do. 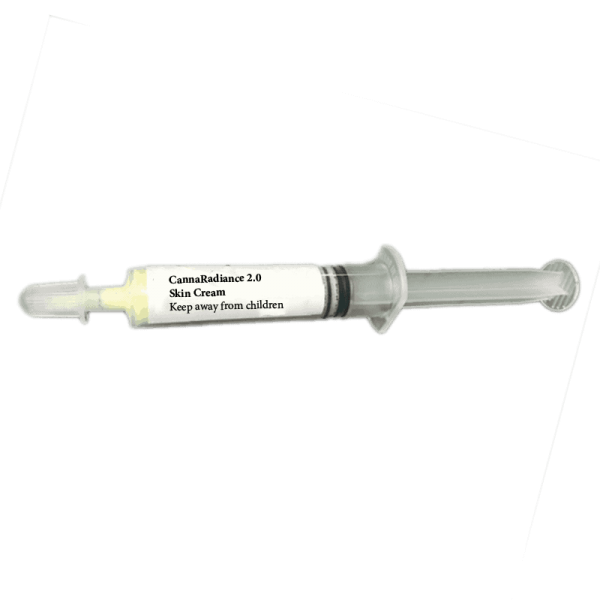 Apply CannaRadiance 2.0 at least once a day, and increase your intake of antioxidant fruits and vegetables. Q: How is CannaRadiance 2.0 different from the original formula? A: We increased the CBD almost twofold. 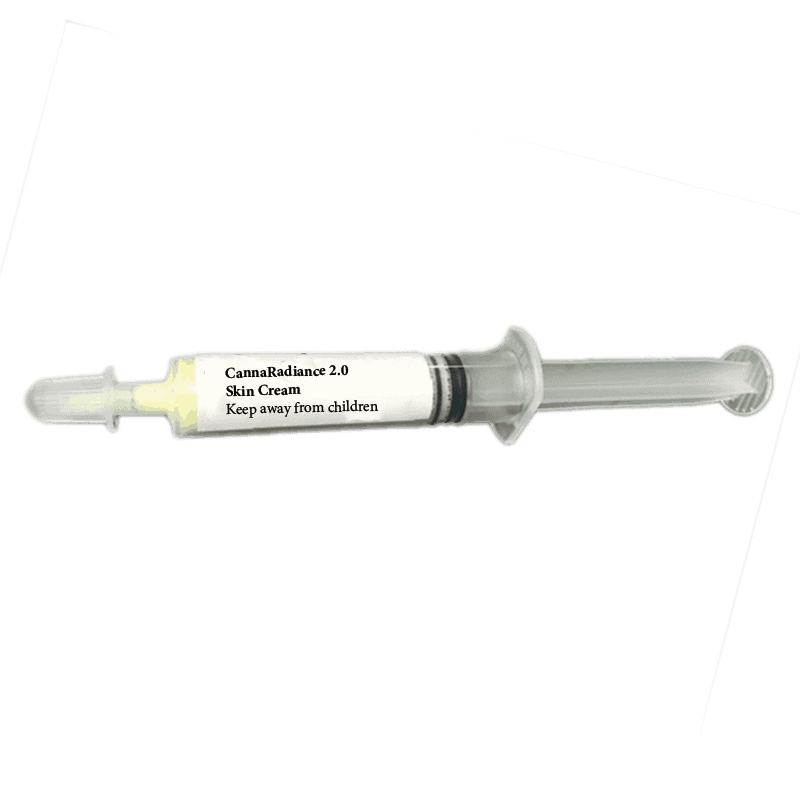 Each 10 mL applicator contains 250 mg of broad spectrum hemp oil, standardized to 180 mg of CBD. We also increased the retinol (vitamin A) to 25,000 iu per applicator. Suggested use: Be sure to take before and after photos to share with your doctor or dermatologist. Apply morning and night to “trouble spots” on face, neck, chest, arms or back. 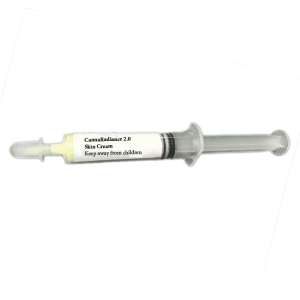 0.5 mL will treat a number of spots, so a 10mL applicator will typically last two to three weeks. NOTE: If this unique skin therapy product was available on Amazon, it would sell for $99 or more. We offer this product for $39.95, and with your Healthy Skeptics membership, the cost is only $29.95 with FREE shipping. This individual was told to “keep an eye on this area” and decided to do more than just watch to see if it got worse. They applied CannaRadiance AM and PM. After only 5 days, the dark “trouble spot” virtually disappeared. 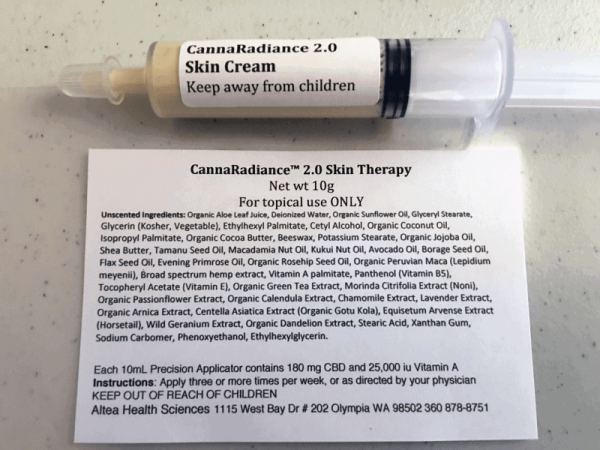 As you can tell, these photos were not taken by a dermatologist, but they still show the remarkable improvement that can be obtained with twice daily application of CannaRadiance. 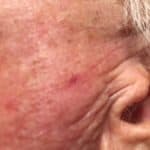 This lesion was a concern for months, and disappeared completely in four days with CannaRadiance, applied morning and night.